I have always been a firm believer in investing in the right skin care. There is no right or wrong in this and one product that works for hundreds of other ladies out there might not always work for you. I am therefore cautious as to which skincare I decide to invest in and try out. 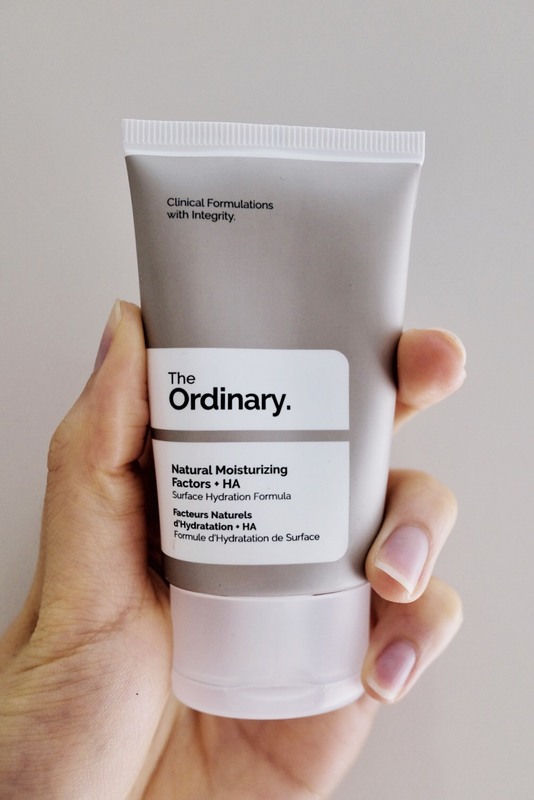 When I first heard about The Ordinary, I got excited because it is both in the budget-friendly range (which is always a bonus) and contains effective ingredients that work well with other products. They come in a small glass bottle with a dropper. I went around reading quite a few skincare blogs and reviews out there to find out more about each product, the science behind the ingredients and which of them would be suitable for my skin. Here are the reviews of the products I tried out! This product is the stronger lactic acid exfoliator. Good for improving skin texture, pigmentation and acne scars. If you have never tried any products containing AHA (alpha hydroxyl acids), go for the Lactic acid 5%+ HA first to test your skin. I think this is a great product to start on if you have dry and sensitive skin as it would not be as strong as glycolic acid or the retinoids (e.g. Advanced Retinoid 2%). I have a dry and sensitive skin and chose the lactic acid. Always do a patch test on the back of your hands to make sure your skin will tolerate the acidity. I used a few drops of acid on clean skin, after cleansing and toning before oils, creams and moisturizers. I apply this at night only as acid can increase your skin’s sensitivity to the sun. (Except Axeleic acid and salicylic acid). This has a watery, light gel texture to it and I find that it works quite well with other products when I layer them. After a few seconds, I felt my skin tightened. I did experience tingling sensations when I used this during hormonal breakouts or after an exfoliating cleanser. I like that this product contains Tasmanian pepperberry, a botanical extract that helps reduce irritation and is also where the slight orange tinge to the solution comes from. I use this about 4-5 times a week. For those with very sensitive skin, I recommend starting off with once or twice per week. TIPS: I suggest wearing sunscreen, protective clothing and avoid using products containing acid at the same time or scrubbing the skin physically as it can over-exfoliate the skin. Some of the symptoms of over-exfoliating can be: redness, inflammation, increase sun damage, pigmentation, wrinkles, dehydration. I use this after the lactic acid and before the Natural Moisturizing Factors (NMF) moisture at night but first thing in the morning. This oil-free serum is very lightweight and is quick to absorb. It delivers lasting hydration and offers visible plumping and moisture retention so that the skin looks smoother, softer and healthier. However, I felt that this product does not really mix well with other skincare or makeup products. Whenever I applied any moisturiser (e.g. NMF + HA) after, the moisturiser went clumpy and needed quite a lot of spreading (maybe I needed to wait a bit longer before applying any moisturiser or foundation on top). I wouldn't suggest using this in the morning if you're in a rush! The formula itself uses 3 forms of HA with varying molecular weights to offer multi-depth hydration. Although this may sound very beneficial, there has been a few research papers saying low molecular weight HA is associated with scarring and inflammation. For that reason, I will not be re-purchasing. Ingredients: Aqua (Water), Sodium Hyaluronate, Sodium Hyaluronate Crosspolymer, Panthenol, Ahnfeltia Concinna Extract, Glycerin, Pentylene Glycol, Propanediol, Polyacrylate Crosspolymer-6, PPG-26-Buteth-26, PEG-40 Hydrogenated Castor Oil, Trisodium Ethylenediamine Disuccinate, Citric Acid, Ethoxydiglycol, Caprylyl Glycol, Hexylene Glycol, Ethylhexylglycerin, Phenoxyethanol, Chlorphenesin. The NMF is a non-greasy, mousse-like textured cream made up of multiple amino acids, fatty acids, urea, ceramids, hyaluronic acid and many other natural components of the skin. It keeps the stratum corneum layer (outer layer of the skin) protected and works to retain water, keeping the skin well hydrated. NMF also performs similar functions to retinoids, improving fine lines and wrinkles and treating sun damage. It doesn’t irritate my skin and locks in moisture. I have been using this for only 2 weeks and therefore haven't noticed a big difference on my skin compared to my other moisturisers. I hope to see how this works during the winter when my skin is definitely drier than the summer. Ingredients:Aqua (Water), Caprylic/Capric Triglyceride, Cetyl Alcohol, Propanediol, Stearyl Alcohol, Glycerin, Sodium Hyaluronate, Arginine, Aspartic Acid, Glycine, Alanine, Serine, Valine, Isoleucine, Proline, Threonine, Histidine, Phenylalanine, Glucose, Maltose, Fructose, Trehalose, Sodium PCA, PCA, Sodium Lactate, Urea, Allantoin, Linoleic Acid, Oleic Acid, Phytosteryl Canola Glycerides, Palmitic Acid, Stearic Acid, Lecithin, Triolein, Tocopherol, Carbomer, Isoceteth-20, Polysorbate 60, Sodium Chloride, Citric Acid, Trisodium Ethylenediamine Disuccinate, Pentylene Glycol, Triethanolamine, Sodium Hydroxide, Phenoxyethanol, Chlorphenesin. Squalane is a saturated and stable hydrocarbon which helps prevent ongoing loss of hydration and protects the skin from free radicals that can cause premature ageing (preventing moisture from escaping). This oil based serum is suitable for all skin types, from dry to sensitive to oily and acne-prone. 3-4 drops of this should be enough to cover the whole face. I use this after a lightweight serum or after a water-based moisturiser morning and night. I instantly felt that my skin was smoother, more plumped the next day and it gave my skin a healthy glow. Squalane oil is an incredible skincare, very versatile and I use it for almost everything. From eye and lip moisturiser to applying this onto my hair to add natural heat protection and shine. 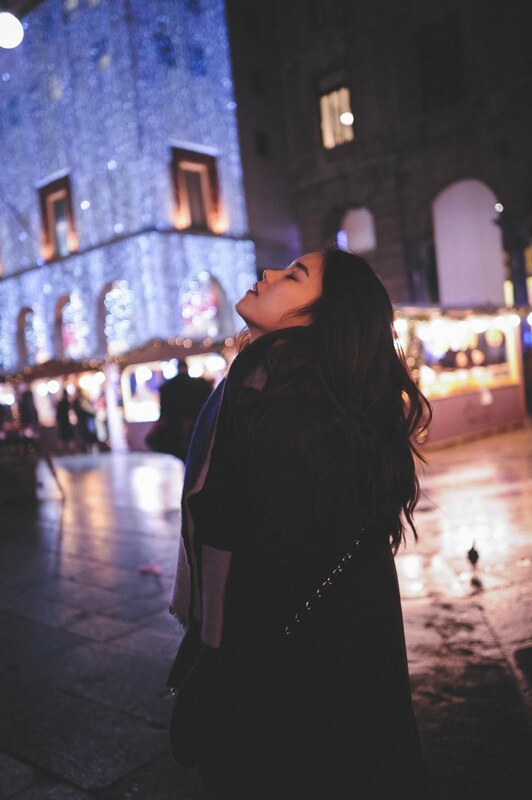 TIPS: Although recommended for all skin tips, squalane is found in your sebaceous glands, it may be comedogenic and cause breakouts in acne-prone skin. So far, the Lactic acid has worked perfectly fine for me, no major irritation or burning sensation whatsoever. I love the 100% Plant-derived squalane but I would like to try other products that contain the squalane oil as well. The natural moisturising factor + HA is a decent moisturiser, great for travelling as it comes in 30ml. I have mixed feelings about the Hyaluronic acid + B5 and will not be repurchasing. 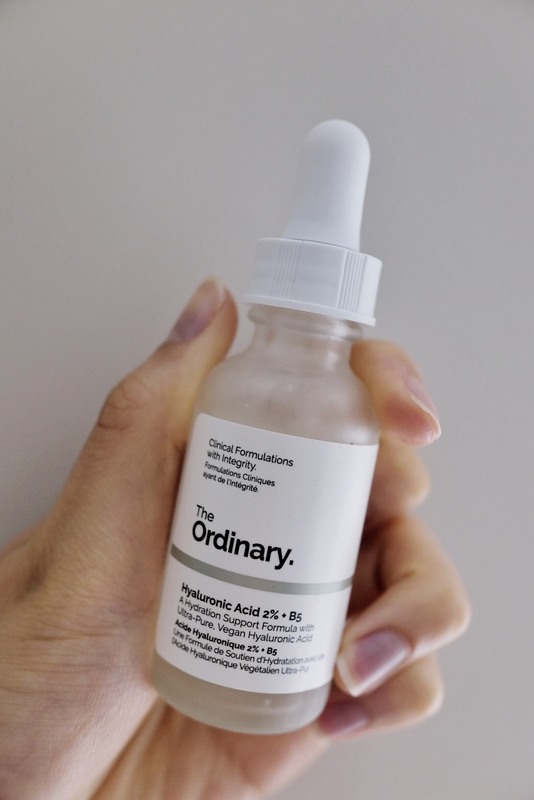 One of the reasons I purchased the ordinary was to do a spot test for my skin before I go onto purchasing something that is stronger and on the higher price range. 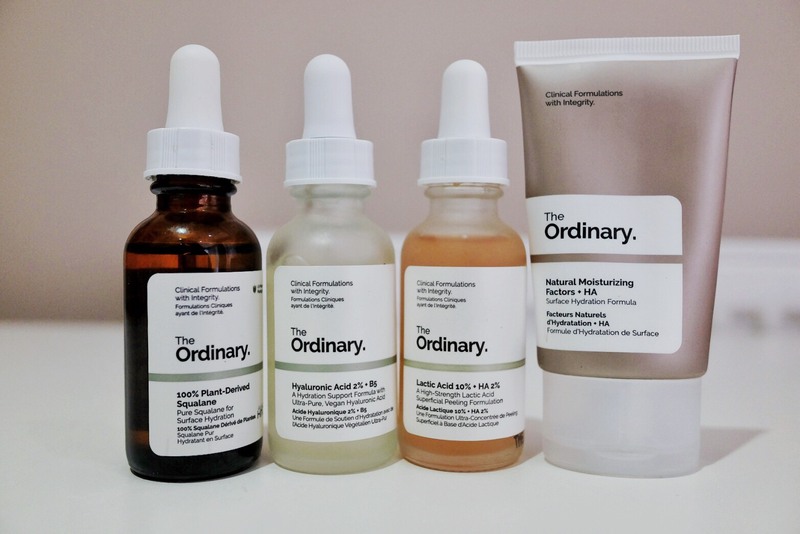 In summary, I felt that The Ordinary did a great job considering the price and I am really glad I finally tried out their products! The only thing is that you do need to know a bit about your ingredients as these bottles tend to target a specific problem and there are no strict rules as to how you want to use them i.e. AM/PM. I feel that wherever you are on the spectrum of skincare crazy, the line is worth trying regardless. 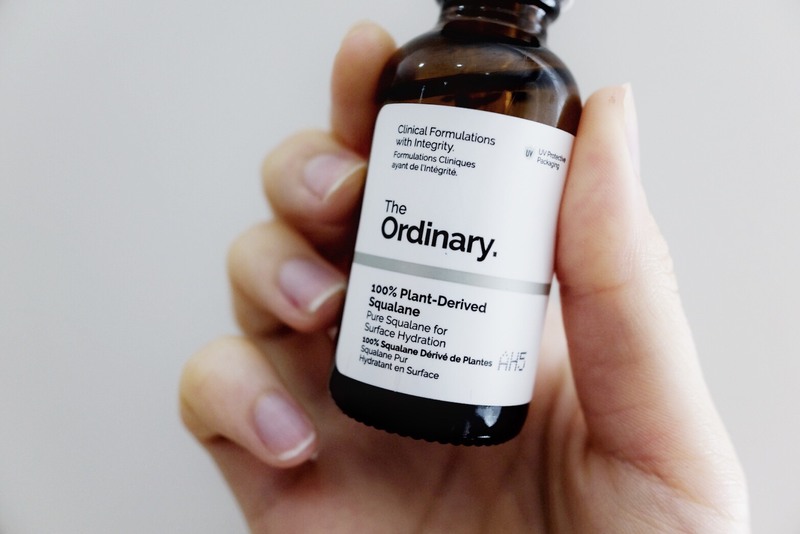 If you are looking for skincare with concentrated active ingredients at basement prices, yes check out the Ordinary. 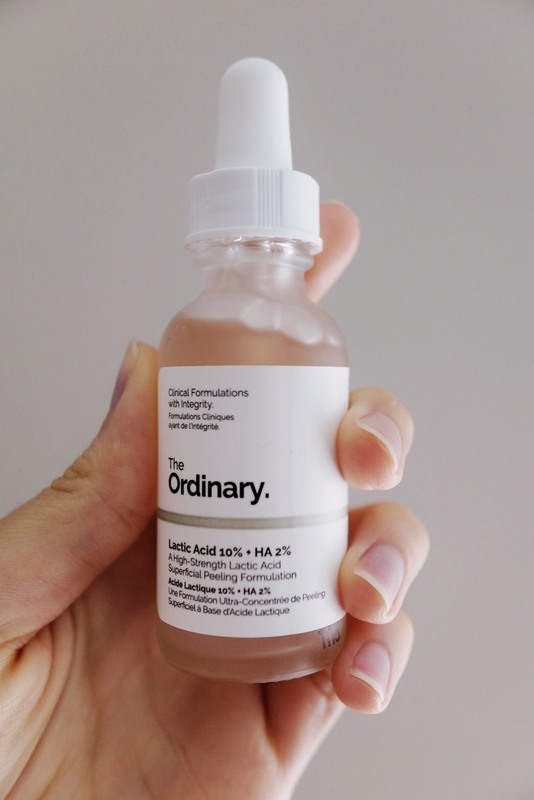 What do you think of The Ordinary? Which ones have you tried? Never heard of this brand.. Would like to try it out soon..
Kathy P. R. Wang, a Thai born 5th year medical student currently living in the UK. This blog is a space to share my personal interests, experiences and passion. © KATHY WANG . All rights reserved.